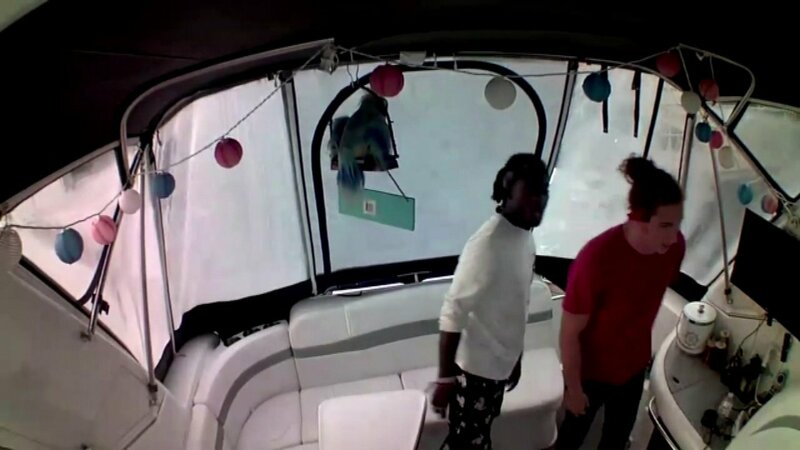 CHICAGO (WLS) -- Chicago police are searching for burglars who are ripping off boat owners at Diversey Harbor, and who were caught on surveillance video. Police said two young men broke into a boat Monday morning. The owners were sleeping inside. When the owners' dogs began barking, they fled. The owners said their boat had been broken into multiple times before, so they bought and installed a security camera. The first suspect is described as a black man, approximately 20 years old, 6 ft. 1 in., 170 lbs. with a cornrow hairstyle. The second suspect is described as a white man, approximately 20 years old, 5 ft. 9 in. tall, 150 lbs., with long brown hair.